Colosseum: book your tickets now! Colosseum: enjoy your tour with a private guide! The Colosseum is the most representative monument of Rome. It consists of eighty arches and four architectural orders, one on each floor. Inside, the great oval that housed the Arena had a wooden base covered with a layer of sand that hide a series of tunnels that meandered underground, where they had wild beasts and tools. 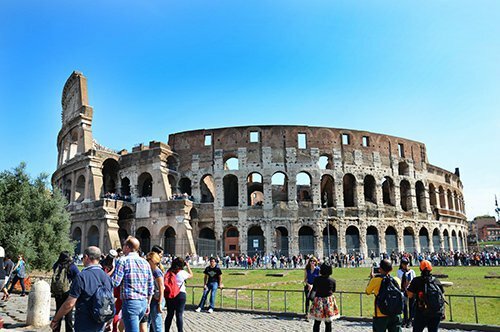 Visiting the Colosseum you can experience the thrill of being in a place that for two thousand years has been the symbol of the eternal city and that is currently the destination of most tourists who visit the capital. 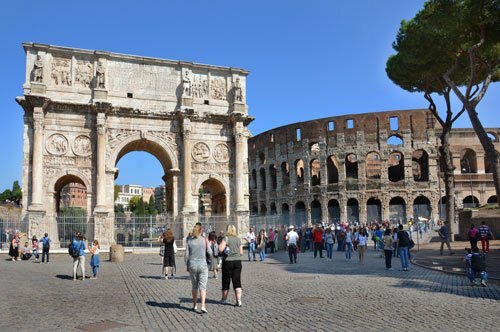 The Roman Colosseum is located in a very representative part of the city for its historical findings and its ruins, not far away are countless monuments that will allow you to relive and understand the glories of the ancient Rome. Under the emperor Vespasian in 72 AD the construction of the Roman Colosseum began. The building would later become the first great Roman amphitheater. 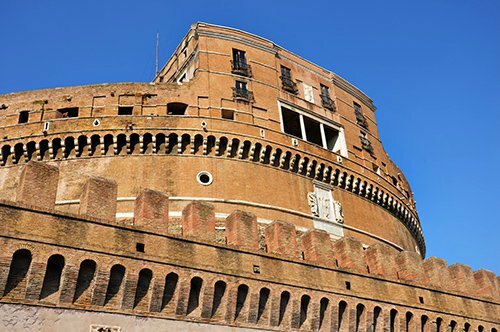 With Vespasiano the first two floors of the building were built, work that was later continued by other emperors, Titus and Domitian. This amphitheater, called by the ancient Romans as "Flavian Amphitheater” is famous throughout the world, and over the centuries has undergone several restorations, changes and destructions. In 217 AD a fire damaged the upper part and the building was reopened only in 222 AD. Other fires affected the Colosseum and more repairs and restorations were necessary. 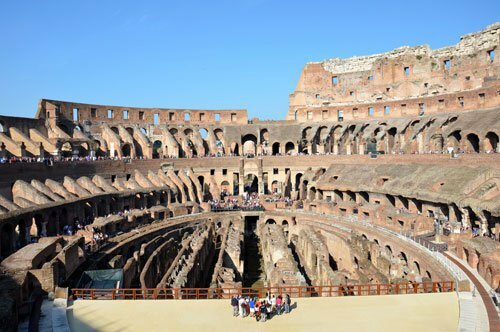 The earthquakes of 1231 and 1349 further damaged the structures of the Coliseum; which was abandoned in a state of ruin. Early in the 1800 began the first restorations that continued throughout the century. The underground structures of the Colosseum have been completely excavated, and the latest demolitions took place between 1933 and 1939. In antiquity, the Colosseum was the place where the gladiators shows were performed in bloody battles. In addition to the real professional gladiators, prisoners or even free men and the public participated in this encounters. 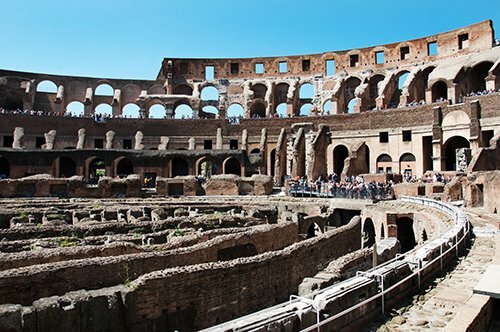 WHAT IS THE ROMAN COLOSSEUM NOWADAYS? The Coliseum is probably the most famous building in Ancient Rome. Originally called Flavian Amphitheater, it takes the name of Colosseum, not only for its impressive size but also for its proximity to a colossal statue of Nero. The Colosseum was declared a World Heritage Site by UNESCO in 1980, and this impressive amphitheater has also been included among the seven wonders of the modern world being the undisputed symbol of the city of Rome in the world. Currently, the monumental Roman Colosseum welcomes a large number of visitors who can tour it on two levels, enjoying the panoramic views and its suggestive interiors. 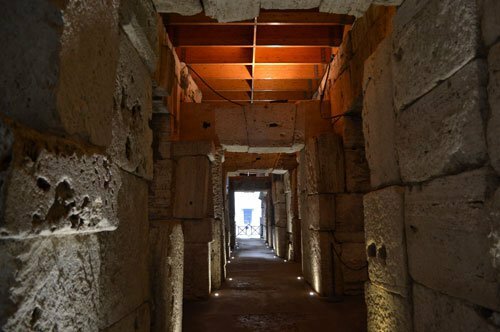 Did you know that the "naumachie" took place inside the Colosseum? These were representations that simulated the most famous naval historical battles. To achieve this, the amphitheater was filled with water using complex hydraulic lines, authentic ships and combat actors (naumacharii). This involved very high costs that rarely the amphitheatres of other cities could afford to present similar shows. Did you know that, during the period when the Colosseum was a large abandoned ruin, much of the material with which it was built, was transported to other places and used for the construction of other buildings including some very important as the famous St. Peter's Basilica? Of what was the total material used for the construction of the Colosseum, it is estimated that only one third has been left. 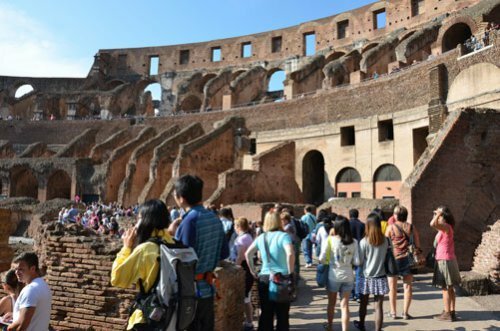 One of the ways to access the Colosseum is the advance purchase of the open entry. 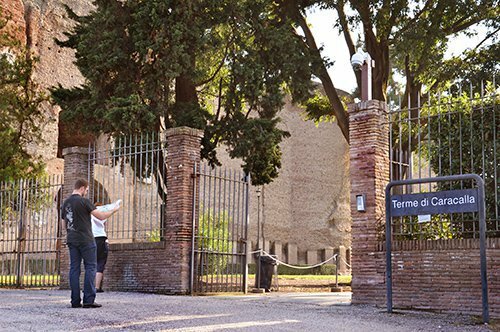 By booking online the date of the visit, you will be able to choose your preferred visiting hours at the reservations ticket office of the Roman Forum, avoiding the waits at the Coliseum's tickets booth. 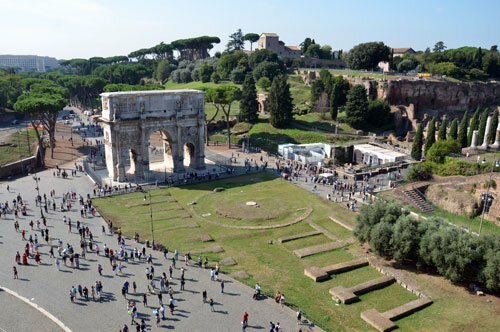 Remember that the entry to the Colosseum includes the entry to the Palatine and the Roman Forum, also valid for 2 days. A very special way to visit the Colosseum is without a doubt, the night visit: at certain times of the year, the Superintendence organizes guided tours after the closing hours, an experience that you can't miss! 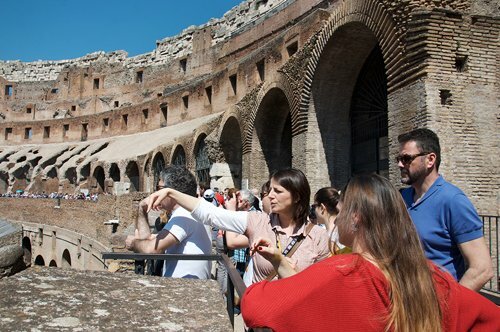 Among the various guided tours there is also a visit to the areas generally closed to the public such as the 3rd and 4th Ring of the Colosseum and the underground. 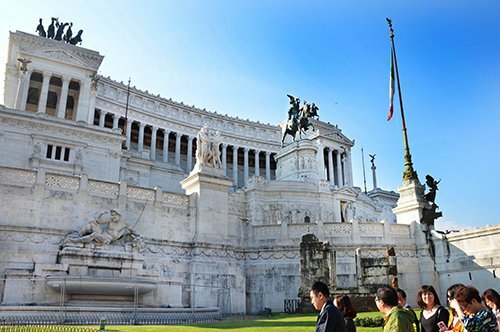 For those who prefer to visit the most important places in the capital (including the Colosseum), it is possible to book the Imperial Rome Guided Tour, which is partly by bus and part by foot. Obviously, there is also the possibility of booking a private guide, dedicated exclusively to you, who will accompany you to discover the Flavian Amphitheater. We underline the fact that all these types of visits provide priority entry to the site. The famous Roman Colosseum is located in a very characteristic part of the city from the historical-artistic point of view where you can visit other important places, such as the Palatine, the Roman Forum and the Domus Aurea (Golden House). 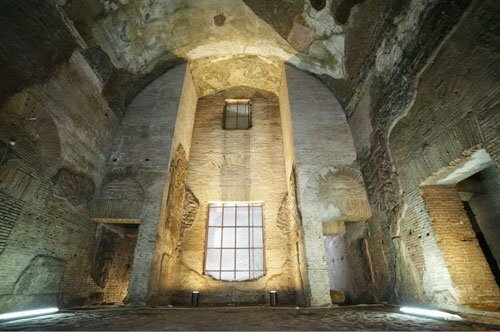 If the ruins of the ancient Rome fascinate you, do not miss other very significant places such as the Thermae of Caracalla, the Catacombs, the Tomb of Cecilia Metella, the Pantheon and the Ara Pacis (Altar of Peace). You can use the Map of Rome to guide you and initiate the discovery of these fascinating places. If you are in Rome, you can't miss visiting the Vatican City. Inside you can lose yourself in the immense artistic heritage of the Vatican Museums where you will admire the St. Peter's Basilica and the Sistine Chapel with its frescoes and the famous Last Judgment of Michelangelo, you can also visit the Vatican Gardens. 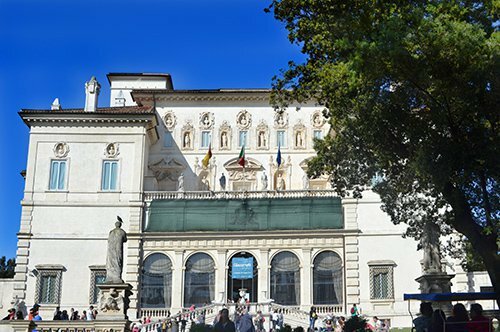 In the interior of Villa Borghese, another beautiful place in the city of Rome, it is possible to visit the Borghese Gallery, which contains works of art from the 15th to the 17th century by artists such as Caravaggio and Bernini. 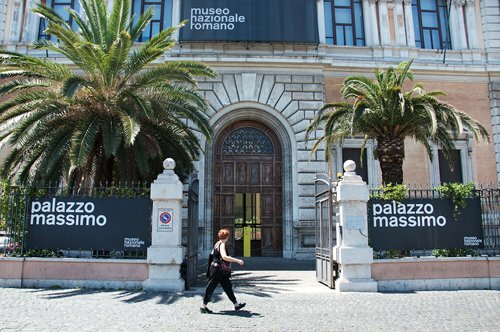 Other museums that you can visit are, for example, the Capitoline Museums and the Roman National Museum.  In the ancient Via Appia (Appian Way) you can visit the Villa dei Quintili complex and in the Lungotevere you can't miss the Castel Sant'Angelo museum. 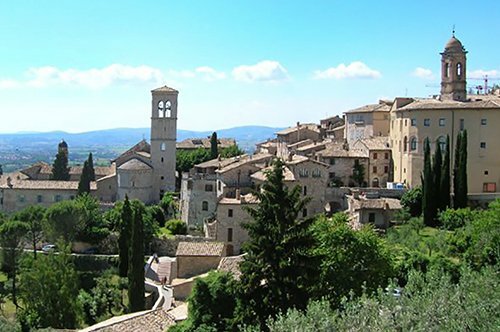 If you prefer to get away from the center of the city, you can visit the Villa d'Este in Tivoli or take a walk in the beautiful village of Castel Gandolfo in Lake Albano.